Epivir is an antiviral medication used to fight infection with the human immunodeficiency virus (HIV), the deadly cause of AIDS. Epivir is an antiviral medication which used to fight infection with the human immunodeficiency virus (HIV), the deadly cause of AIDS. Epivir prevents the cells from producing new virus and decreases the amount of virus in the body. 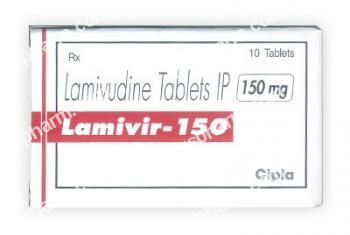 This drug is also prescribed for the treatment of chronic hepatitis B infection. Note that this medication must be used in combination with other HIV drugs. Do not take it without doctor's permission if your medical history include: kidney disease; liver disease; pancreatitis; problems with your muscles; or problems with your blood counts. Remember that this drug does not reduce the risk of passing the HIV or hepatitis B virus to others. Do not use alcohol because it may increase the risk of damage to the pancreas and/or liver. Epivir should not be used during pregnancy, becoming pregnant or lactating without doctor's advice. Do not use Epivir before breast-feeding without doctor's advice.